Mahindra First Choice Wheels, India’s leading multi-brand certified used car company today launched its “Edition” brand, the country’s first Premium used cars franchise network. The first “Edition” store opened in Juhu, Mumbai and with an eye popping assortment of premium car brands including Mercedes Benz, BMW, Audi and Jaguar. To make the deal really sweet for customers, there is a comprehensive warranty coverage for its vehicles ensuring complete peace of mind for buyers. Mahindra First Choice Wheels is currently India’s No. 1 Multi-brand Certified Used Car Company, with over 1200 outlets across 500+ cities. It offers Certified Used Cars with Warranty and making the entire process of buying and selling used cars more transparent and hassle-free. The company has a comprehensive 118-point quality inspection and refurbishment process that ensures its vehicles are of the highest quality. 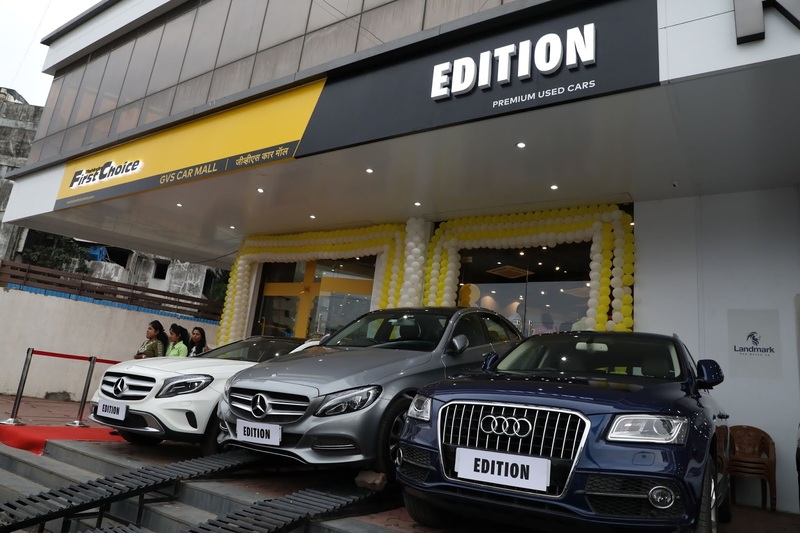 The company extended its leadership position in the Indian used car industry in FY 2018 with a strong growth in its transaction revenues and its technology enabled businesses. These include its auctions (eDiig.com), inspections (Autoinspekt.com) and pricing solutions (IndianBlueBook.com). These tech enabled solutions are driving transparency and efficiency in an industry which has previously been unorganised in nature.